ROW80 Round 1 – Goals! January 7th, 2013 (that’s today!) is the official start date for Round 1 of A Round of Words in 80 Days (aka ROW80). I have decided to join this writing challenge for the fourth time. Created by Kait Nolan, ROW80 is “the writing challenge that knows you have a life”, or “the challenge that champions the marriage of writing and real life.” Unlike NaNoWriMo which runs for only a month, each ROW80 round runs for 80 days and the participating writers have to set themselves writing goals for that time. Each Wednesday and Sunday, we check in and let the others know how we are doing. The idea is to form writing habits that writers will hopefully continue once the challenge is over. As you may know if you follow this blog, my daily life is pretty crazy. I have a day job that keeps me extremely busy, I travel a lot and I read tons of books. Fitting some writing time in my schedule is a challenge, but I’m still very intent on getting published one day. This First Round starts today and will end on Thursday, March 28th. Every Sunday I post about an author’s successful journey into publishing. Make sure to stop by if you need motivation to keep writing! Here is the Linky for the other participants’ posts. What are your ROW80 goals for this round? I’m happy to report that I’ve had a great writing week, since I did manage to write or edit every day! Some days (Tuesday and Friday) were tough because I got home from work very late, but I still stuck to the routine. I also managed to read two books for my upcoming Halloween post and I kept my blog alive with an interview with YA author Meagan Spooner. Check it out if you want to know how she got published. If you’re new to this blog, know that I always add an inspiring story to my ROW80 check-ins. 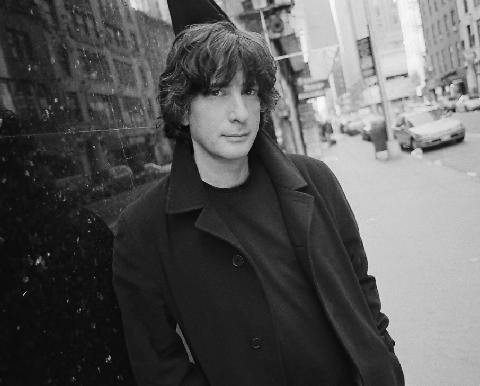 This week, I’m sharing Neil Gaiman’s 8 Rules of Writing that I found on the Guardian website. Neil Gaiman is one of my favourite authors and his writing advice is worth a read. ROW80 Round 4 – Goals! October 1st, 2012 (that’s tomorrow!) is the official start date for Round 4 of A Round of Words in 80 Days (aka ROW80). I have decided to join this writing challenge for the third time. Created by Kait Nolan, ROW80 is “the writing challenge that knows you have a life”, or “the challenge that champions the marriage of writing and real life.” Unlike NaNoWriMo which runs for only a month, each ROW80 round runs for 80 days and the participating writers have to set themselves writing goals for that time. Each Wednesday and Sunday, we check in and let the others know how we are doing. The idea is to form writing habits that writers will hopefully continue once the challenge is over. Round Four starts on Monday, October 1st and will end on Thursday, December 20th.